Come and visit halls of great galleries and museums and discover history of Winnipeg and Canada. 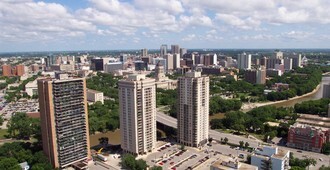 Visit Winnipeg attractions and experience nature, entertainment, adventure and history. Take out some time to enjoy with your family and visit the beautiful and amazing places present in Winnipeg. Come celebrate and enjoy with Winnipeg at exciting major events and fun-filled local festivals. Canada's Royal Winnipeg Ballet is famous all over the world for its technical excellence, classical ballet, to innovative contemporary ballet, excellent performances and eclectic repertoire. Canada's Royal Winnipeg Ballet offers experience to the artists and participants of the dance of both types technically and artistically. Dance will be based on the tradition of ballet.